Make a lovely pot of hot chocolate and get sewing! 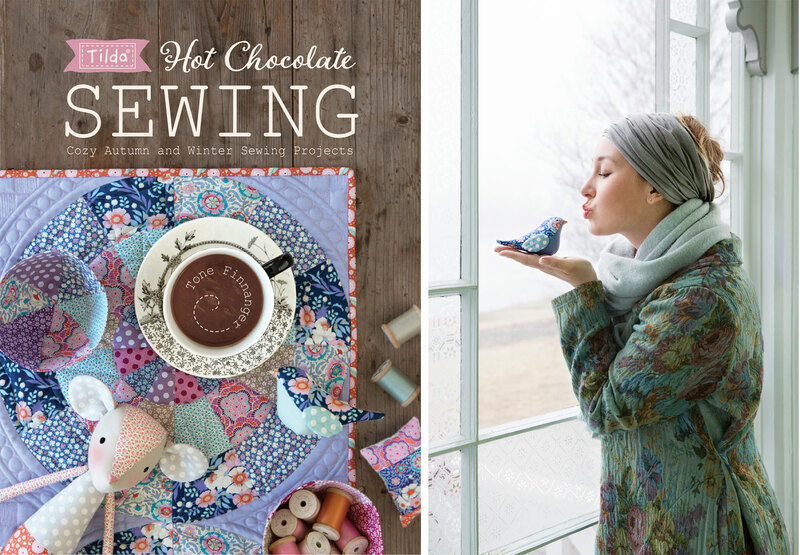 The new book Hot Chocolate Sewing has been a labor of love and we are so grateful to hear how well it is received around the world! This book is all about the indoor pleasures of the autumn and winter seasons and will take you through every room with ideas on how to decorate them with home-sewn projects – every- thing from small treasures to larger projects like quilts. There are projects suitable for the young, for older friends and for family, giving you lots of ideas for your Christmas gifts. A special thanks to seamstress Ingun Eldøy and quilter Marianne Engeset Nybølet Karmaquilt . Your work is amazing! 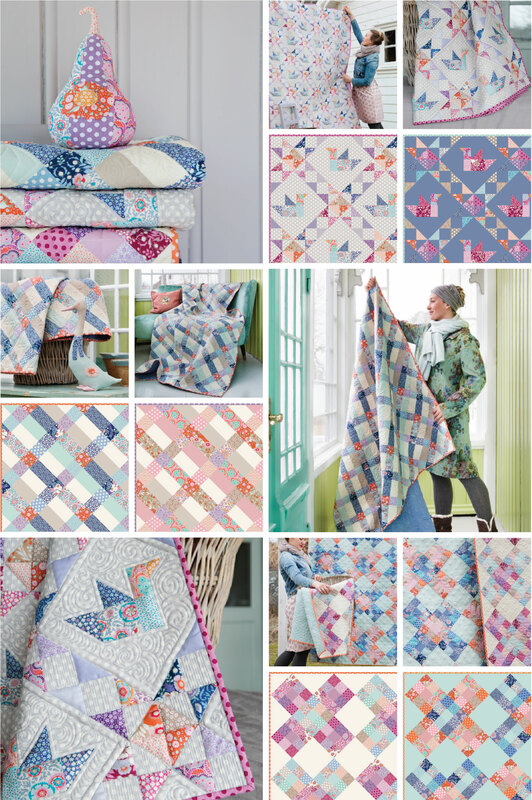 All the projects are made with BirdPond fabrics. Sun-kissed mermaids are relaxing in the sun and enjoying the summer vibe in their starfish bikinis. 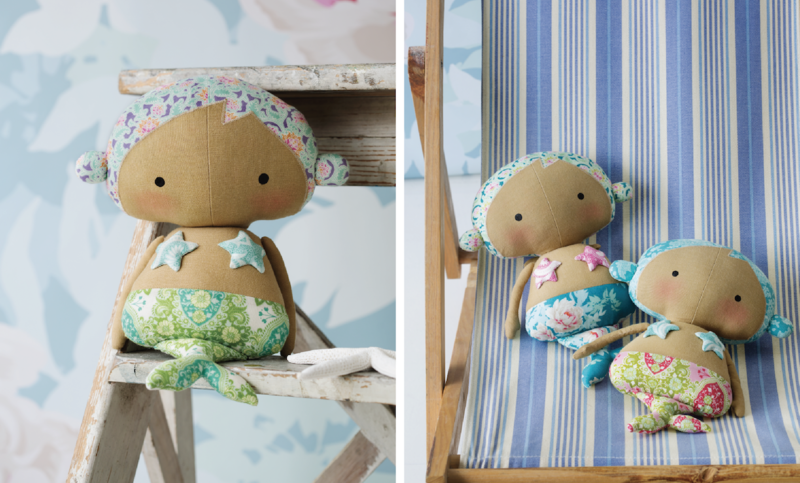 These cutie’s are available as a pattern in the book Sunshine Sewing and the mermaid with the green – teal tail is also available as a sewing kit. 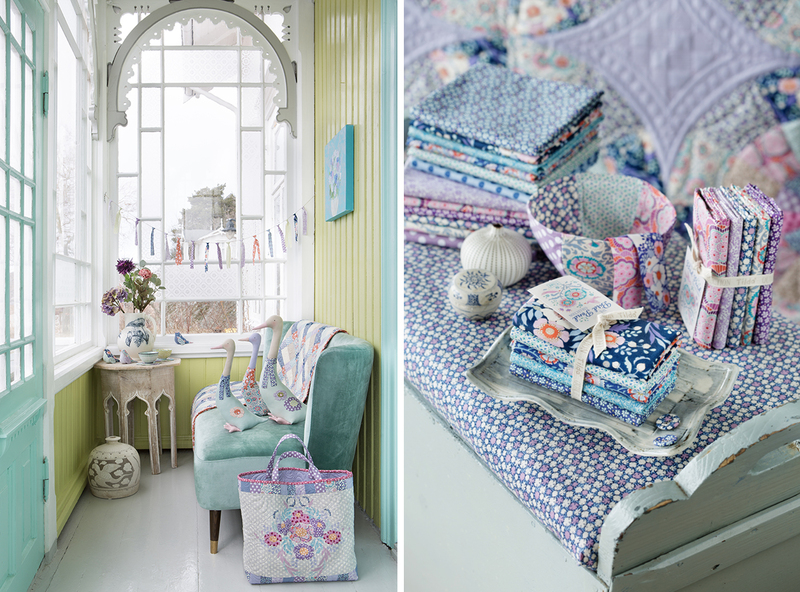 The kit contains all the fabric you need to make the mermaid and comes in a sweet paper bag with scalloped edges. Beautiful Sewing Kit made by Stitchingnotes, ginger colors are so fresh and beautiful when used in the right setting. We love the attention to detail in this project.